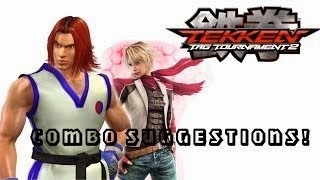 Diety Devil has taken combo suggestions and is performing them in Tekken Tag Tournament 2. Watch the lab work inside. Look who's back to Tekken Tag Tournament 2 business. Regular combo goer Diety Devil has posted a new video with combos suggested by Fernando Martinez. The team dishing out the pain is Hwoarang and Leo.